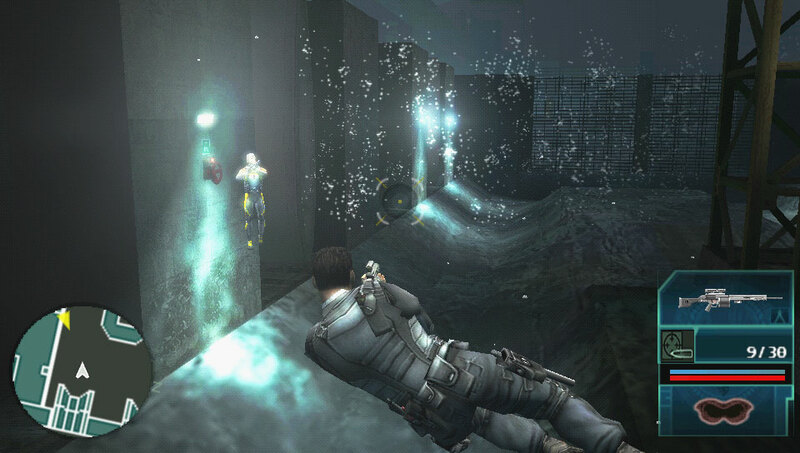 Sony's long-running Syphon Filter series has always offered a consistent and entertaining mix of stealth action gameplay. The latest installment on the PSP, Logan's Shadow continues this style of play with a solid and interesting storyline, excellent production values along with a few new twists such as underwater missions and close-combat stealth moves that allow you to target an enemy's body parts. The story is fairly interesting and its sleek production values are highly polished and immerse you into the game's storyline. Join us as we discover how the latest installment in the under-rated Syphon Filter series emerges from the shadows and grabs your attention. Last year's Syphon Filter: Dark Mirror was a solidly entertaining game that miniaturized the popular stealth-action franchise on the PSP in an engaging manner. It was a solid hit, so there can be little surprise that the follow-up has arrived. Building on the successful elements of the first game, Logan's Shadow continues the storyline and finds out protagonist Gabe Logan on the outs with his clandestine government agency. What's worse is that his long-time collaborator has been kidnapped and is involved with double dealings involving a terrorist group. It's up Logan to find out what's happening and clear his name which makes for an intriguing storyline with loads of unexpected twists and turns. Logan's Shadow begins with a series of training missions which allow you to get a hold of the basics and learn some of Logan's new skills, such as stealth kills and close combat maneuvers plus try out the underwater missions. The controls are fairly simple to understand, players move with the standard d-pad and use the system's face button to look around and strafe. While Logan's Shadow is probably going to be familiar for series vets there are several new moves that keep things fresh. These additions include the use of Blind fire, which sprays an area with bullets and makes your opponents run away, and new close-range knife moves that allow you to cut an enemy at close range. SF's melee hand-to-hand combat has also been improved to allow you better control of your character during these battles. These additions make for a much more robust experience overall, and gives you more leeway in how you complete missions and objectives. These improvements make Logan's Shadow play much smoother than Dark Mirror, with a better pace and snappier controls that allow you to get deeper into the action. The weapons at your disposal are impressive and include the usual pistols, shot-guns and sniper rifles along with grenades and situational weapons such as the harpoon gun. There's quite an impressive range included in this installment. There are more than 50 weapons available in the game, which gives things a great deal of variety. Syphon Filter: Logan's Shadow offers a huge arsenal but this doesn't complicate things because switching between weapons is fairly simple. You fire using the left shift button and certain weapons have targeting reticules that can zoom in to increase your accuracy. Most players should have little problem with the game's interface. In addition to these standard weapons, you have access to an array of heat and light sensitive goggles, which help you to move around in the dark and find the locations of hidden items. Switching between these viewpoints is essential, since they are the only way to locate certain items or attack foes without alerting the entire base. Moving around the levels and mastering all the moves takes some practice, but its worth it. Players have the ability to move along walls, crouch under tunnels and jump through the levels, though the trick is to do this without making to much of a scene. The biggest addition this time around is the addition of several water based levels, which are nicely executed. These follow the same basic feel of the ground based missions, and players can swim around these areas fairly easily as well - though they have to keep an eye on their oxygen levels while underwater. While underwater, you can also shoot harpoon guns, which are fairly accurate. Interestingly, you can also attack foes who are standing just outside the water by jumping out of the water and sneaking up on them, which is a pretty cool feature all by itself. Aside from this, these missions stay true to the Syphon Filter style for the most part. Once they've got the basics down, players can use their newly acquired skills to take out enemies in a variety of ways - you can locate them from afar and snipe them, sneak up behind them and take them out silently or engage in massive gun battles. The perspective used in the game is fairly standard, and allows you to have an excellent field of vision. An onscreen radar also helps to point you in the right direction, showing the location of enemy soldiers and objectives. The missions themselves range in difficulty and offer plenty of depth - the replay value is enhanced by the rankings at the end of each mission. Most of the missions in Logan's Shadow are fairly straightforward in their execution and mapping, and you should be able to progress through the game fairly easily with little effort. The game offers a good mix of action levels, where you have to do a lot of shooting and recon missions that require you to search around for hidden areas and secrets. This strikes a good balance between the game forms and makes this an engaging experience for the single player. 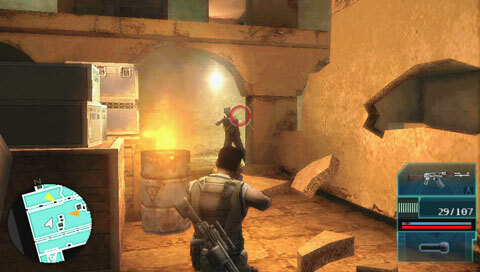 As in most previous Syphon Filter titles, the game isn't terribly complicated and the action sequences are complimented by extensive cut-scenes that help to flesh out the storyline. Logan's Shadow offers a solidly entertaining and challenging solo mode, but the developers have also put significant effort into its online mode, which delivers some impressive dividends. The game includes a variety of modes that you can use to either play standard online battles with four on four action, or play through some of the levels co-operatively. In addition, players can go a bit deeper with the game's community aspects which include player profiles, leader-boards and rank matches. This makes for a much more complete package that extends the game's replayability much further than Dark Mirror. The game delivers a solid online experience with little lag time and includes both ad-hoc and infrastructure support. Its nicely executed overall, but there are some minor issues that seem to detract from the overall experience. Syphon Filter has always been accused of being a little derivative and some of the sequences and areas seem to provoke a sense of déjà vu. Even some of the new moves feel a bit familiar and the games' somewhat generic settings and storyline don't do enough to change this perception. Still, the game is solidly entertaining, with good controls, an interesting storyline and some challenging levels. 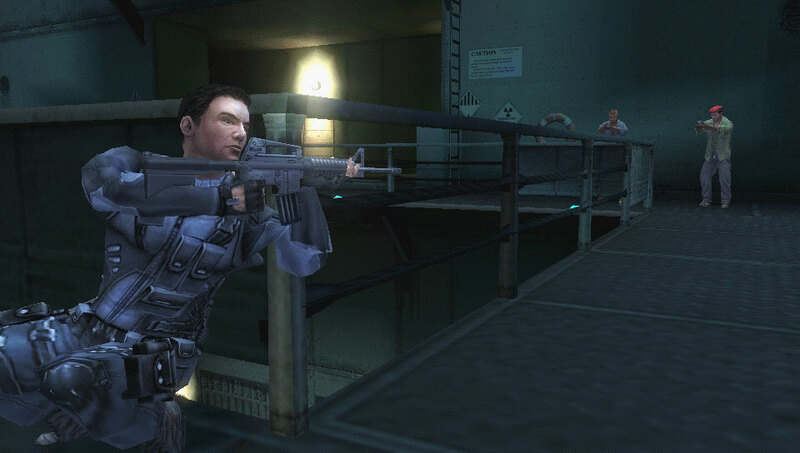 Syphon Filter: Logan's Shadow is a solidly entertaining title that's well-executed with above average production values. While it doesn't stray too far from the stealth-action formula of its predecessors, its still a challenging game that should please those who enjoy this genre.